The delicious, colorful layouts of Ricardo will be perfect for creating restaurant, hotel, or any food-related website. Get started by creating the necessary website pages with the 14 pre-designed templates and the bundled UI elements. The theme supports mega menu, which means you can add all the necessary navigation links to the main menu. 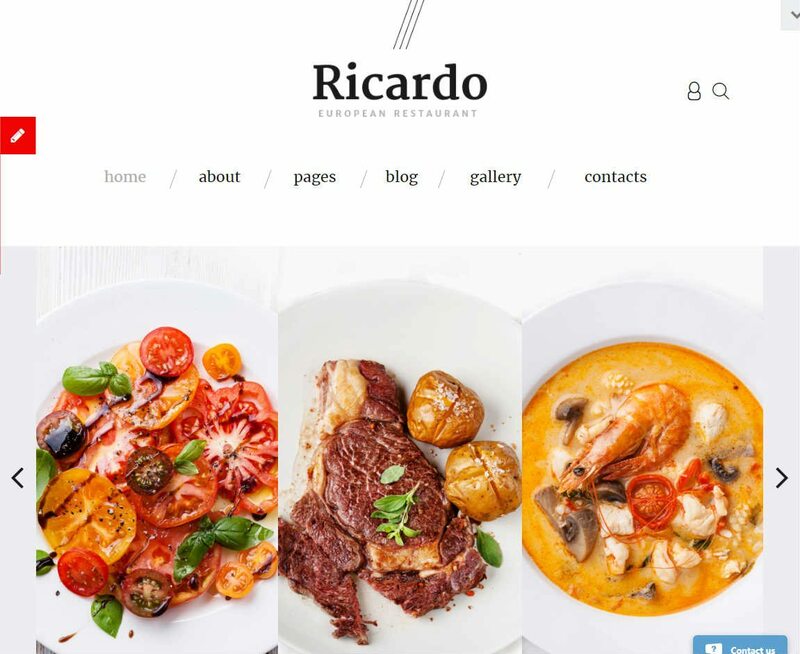 Ricardo is provided with an advanced search feature to make it easier for the visitors find their desired content. Feel free to use the intuitive color switcher feature to use custom colors on your website. The stylish commenting section will encourage the visitors to join the conversation.